Many years ago, I was having lunch with a good friend. I was telling her of my dream to someday open a store that caters to the whimsical side of life. I would have dragons, fairies, crystals – all the things I’ve always been drawn to. I would offer dream analysis, which I had been doing successfully for friends, family, and coworkers for many years. I would also bring in other people, like psychics and henna tattoo artists. It would be a place EVERYBODY would be comfortable visiting. 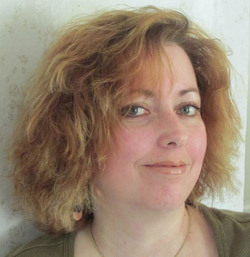 Wiccans, Buddhists, Atheists, soccer moms – everybody would be welcome. I wished there was a place like that for me to go all those years ago, and I believed there must be others who would want it as well. As I left the restaurant from that lunch, I decided to pay attention and let Fate guide me. I got in my car and heard, "She held me spellbound in the night, dancing shadows and firelight" from "Witchy Woman" by the Eagles. I called my friend and said, "I've got the name of the store!!!" I have been planning what Spellbound would be like ever since. And after a long series of timing, coincidences, and circumstances, Fate finally brought Spellbound to me in 2015. 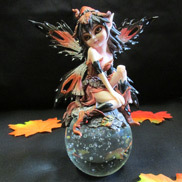 Spellbound will make the most of Halloween, which is at the crossroads of those looking for both spirituality and fun! We will be an integral part of Fright Night in the District, with storytelling and a kid-friendly fortune teller, as well as Halloween merchandise that you won't find anywhere else! 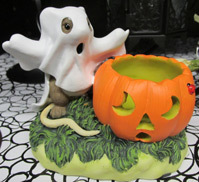 However, we are not just a Halloween store. We hope to fulfill your needs all year round, from the Christmas tie-in to the winter solstice (offering unique gift ideas for the Pagan in your life!) to the vernal equinox, focusing on rebirth, gardens, and Mother Earth. We believe this is YOUR store, and we will make every effort to stock whatever we can to enrich your life. Gift certificates are also available for both merchandise and dream analysis, for a truly unique gift idea! Dream analysis is available with both appointments and walk-ins welcome. In addition, we have many services planned for the future, such as classes and crafts. We also plan to have various professionals make regular appearances at Spellbound, such as psychic mediums, tarot card readers, and henna tattoo artists. 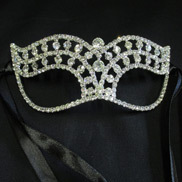 Fun things will be happening at Spellbound! While stocking beautiful, interesting, and unique items and planning future events at Spellbound, I have joked to my husband, "Gosh, I would love to shop here!" I hope you feel the same! 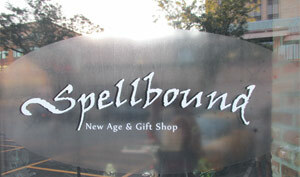 Spellbound is located in The Shoppes on 2nd, in The District of Rock Island.